As the life of the late Whitney Houston’s daughter, Bobbi Kristina, hangs in the balance at a Georgia hospital, all eyes turned to her “husband” today. For the first time, Nick Gordon opened up about his troubles in a televised interview — and I’m still reeling from it. The special begins with some backstory about the unfortunate events leading up to Bobbi Kristina’s tragic state. Some of this exposition is provided through newsclips and some from sources such as the Daily Mail’s Laura Collins, but the most intriguing perhaps came from Nick Gordon’s mother, Michelle Gordon. 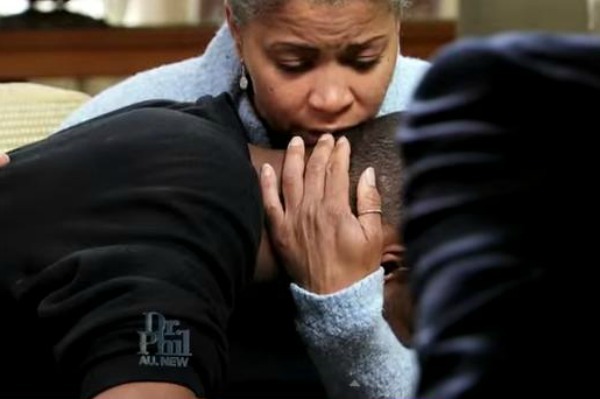 Apparently, Michelle reached out to Dr. Phil to help her save her son’s life. Nick had agreed to an interview with Dr. Phil, but had no idea his mom was waiting in the wings. “Nicholas is at a breaking point,” she tells Dr. Phil. “He still has not gotten over the fact that he was not able to revive Whitney or Krissi.” Subsequently, she claims, he has been dealing with his depression by self-medicating with alcohol. For many, myself included, this is the first I’ve heard of Michelle Gordon. The narrative of Nick’s life that I am accustomed to hearing centers around the fact that he was “adopted” by Whitney Houston and lived with the Houston family. The fact that his mother, who admittedly kicked her son out (when he was 17 or 18), is only now entering the picture — and doing so in a very public way — makes my inner cynic immediately think publicity ploy. I couldn’t help but shudder over the admission. Fast-forward to Jan. 31, when history sadly seemed to repeat itself. According to Michelle, Nick told her that he, Bobbi Kristina and their mutual friend, Max, had partied together late the night before. After getting into an argument the next morning, Nick retreated to one bedroom to sleep while Bobbi Kristina decided to draw a bath. Later, when a cable service provider arrived at the house and (strangely) needed access to the bathroom, Max found Bobbi Kristina facedown in the tub. He got Nick, who performed CPR for 15 minutes until paramedics arrived. 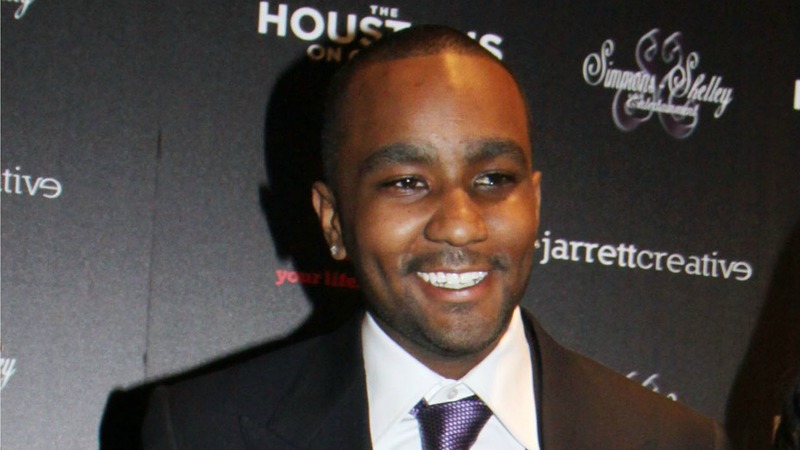 More: Nick Gordon “desperately” wants to visit Bobbi Kristina, but will the family allow it? At this point, I’m entirely alarmed at the notion he was present at the scene during both tragedies. This certainly seems to suggest there is more to the story than we know. Michelle then tells Dr. Phil that Nick has told her many times he is going to kill himself and that he has tried, and they both agree it is time to bring Nick in for a full-on intervention. And this is where everything goes off the rails. When Dr. Phil arrives at Nick’s hotel room door, Nick seems pretty composed. But as he notices the camera crew, his behavior becomes more erratic. As soon as he sees his mother, he reverts to an almost-childlike state. Is he setting up some sort of defense for insanity here? Does he suspect a case is being built against him? As I watch, my visceral reaction is that of discomfort. Nick’s behavior is so bizarre — waffling from extreme emotion (albeit without tears) one moment to laughing and joking the next — and his relationship with his mother strikes me as strangely Oedipal. They kiss on the lips. He clings to her, calling her Mommy and looking to her for reassurance. This is not the sort of behavior you might expect from a 24-year-old man. His gaze ranges from vacant to piercing, although that may have much to do with his admission that he has been drinking heavily and downing Xanax. But can being intoxicated really explain how utterly bizarre Nick’s behavior is during the sit-down with Dr. Phil? And there are moments where he seems to have such clarity about his situation, I question how intoxicated he truly is. At one point, he says his kidneys hurt. Dr. Phil asks why and Nick responds plainly, “Because I’ve been drinking.” Would a person who has lost control of their capacities be so aware of that physiological connection? To me, those thoughts do not seem to align with the mentality of a person who is distraught and grieving over the loss of loved ones. They seem like the thoughts of an opportunist seeking status. Is it wrong of me to feel that way? To say it out loud? I don’t consider myself a terribly jaded or cynical person, but my first inclination when watching this interview is to doubt the intentions of Nick and his mom. Apparently, I’m not alone. A cursory scroll on Twitter reveals that many people watching the special just didn’t buy the pair’s behavior. Here’s the thing, though. As someone who has a family history of mental illness, I know firsthand how deceptive the struggle can be. Sometimes, just before a breakdown, a person’s behavior is, well, bizarre. If this guy does have serious issues, maybe this is an authentic cry for help. I can’t imagine the guilt I would feel if I gave him a hard time and tragedy befell him soon after. Having said that — and because I do have loved ones with legitimate mental illness — I don’t like people crying wolf where these sorts of things are concerned. It makes it that much harder for those who really need help to be taken seriously, and that’s unacceptable. 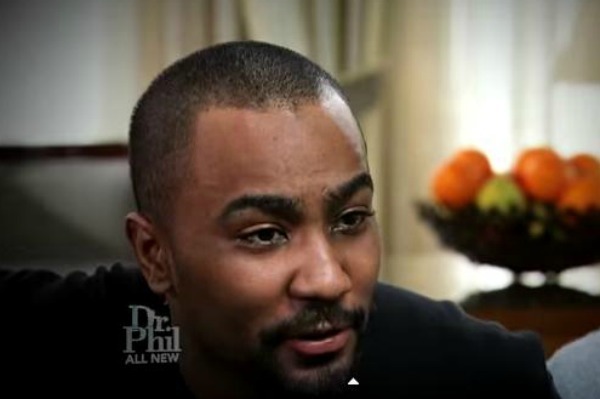 Ultimately, he agrees to go to the inpatient rehab Dr. Phil suggests, so I suppose only time will tell how sincere Nick Gordon is about dealing with his demons. Some part of me wants to feel bad for him and believe it when he says that his pain is horrible and his heart hurts. But, in the pit of my gut, I feel like something is off. His behavior was just so… affected. What are your thoughts? Weigh in on the explosive interview with a comment below!